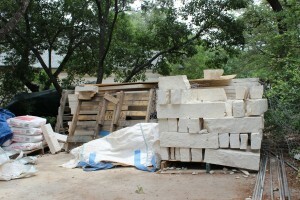 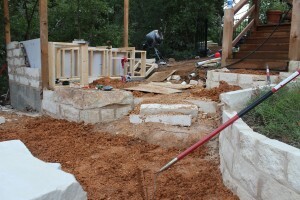 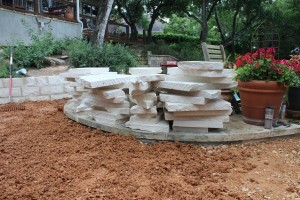 Limestone waiting to become the new retaining wall. 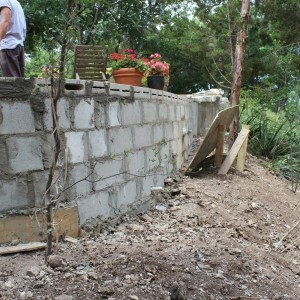 The walls are taking shape! 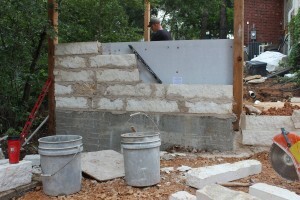 Limestone wall is built up against the backerboard to keep moisture out! 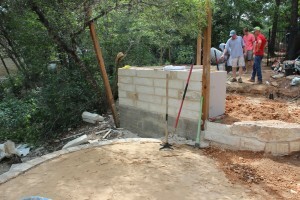 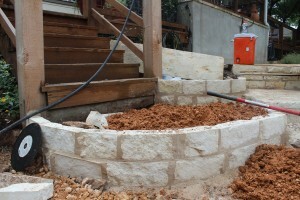 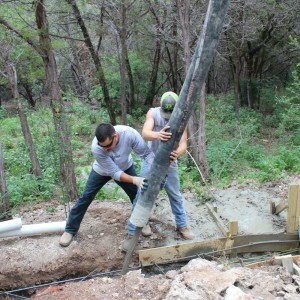 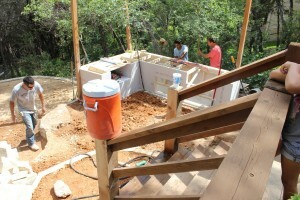 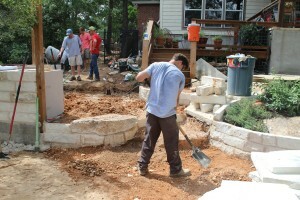 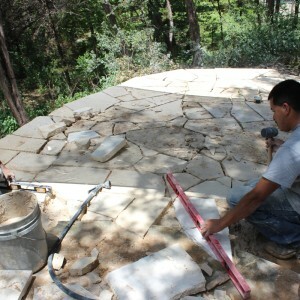 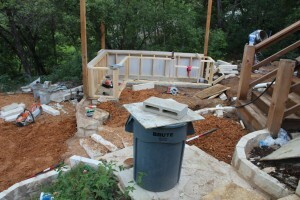 The first of several steps coming of the existing patio.